Throughout her 30 years of immigration business, honesty and delicate care for clients are her philosophy in helping more than 20,000 families’ immigration to USA, Canada, Australia, New Zealand and other countries. 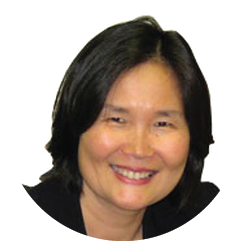 As founder of IMS, Gloria truly delivers her best efforts to analyze and find the most appropriate immigration services for each family. As a warm-hearted and intuitive thinker, she sufficiently delivers qualified services with our professional associates. Shortly after her commitment to immigration business, she learned that education is a critical factor of migration and it became one of her life-pursuits. Since then, along with her husband Tim Knowles and two children, Gloria loves to help children’s education through a non-profit organization.